Pour the Pimm™'s into a tall glass (ex, Collin's glass) with ice cubes. Add lemon juice and a splash of the soda water. Garnish with fruit of choice. Pimm™’s is one of those liquors that everyone has heard of, but no one drinks. OK, strike “no one”: Grannies playing bridge may down a Pimm’s or two, but the British spirit hasn’t been a popular pour since 1823, when it was invented by James Pimm and served at his London pub. Well, dust off the bottle, because this stuff is coming back in a major way. Modern mixologists are resurrecting the Pimm’s Cup, a spritely cocktail that’s perfect for a warm weather party. If you want to try your hand at it, here’s what you have to know. When Pimm™ concocted his liquor at his oyster bar in the 1800s, he probably didn’t know that it would become the drink of choice for Brits watching polo matches and tennis at Wimbledon. He just wanted to make the gin that he was serving go down smoother—liquor wasn’t exactly quality in those days. He concocted a proprietary blend of botanicals that he used to flavor the gin, and Pimm’s No. 1 Cup was born. To this day, the exact recipe is a secret—it has been passed down from owner to owner, and now spirits giant Diageo owns the brand. When it comes to what’s in the recipe, they ain’t talking. Not confident in your cocktail mixing skills? Then this drink’s for you. The Pimm’s Cup cocktail is basically a combination of fruit chunks (which highlight the flavor notes of the spirit), Pimm’s, soda water and lemon. Yep, you can’t really do it wrong. Pour two parts Pimm’s No. 1 (more on the other varieties later) in a glass full of ice, add a half part of lemon juice, and top with soda water. Finish with a selection of fruit garnishes. You can basically put whatever you want in, but it classically contains apples, cucumber, citrus (lemon or orange), strawberries and a sprig of mint or two. 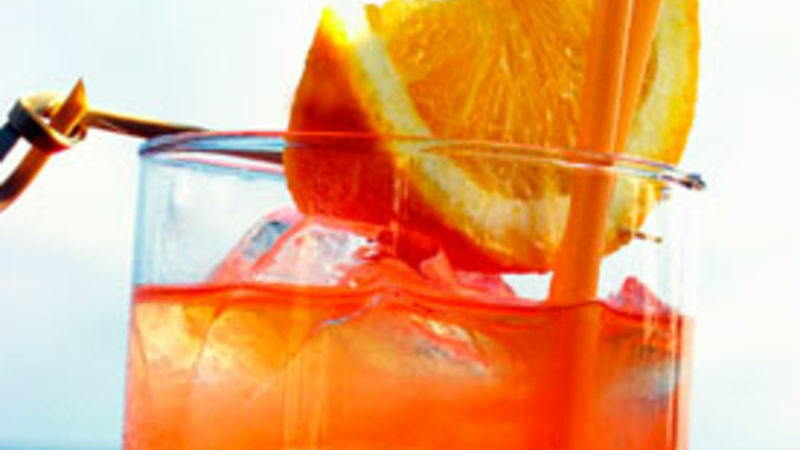 Be sure to mix it up before serving, so the fruit can impart its sugars into the drink. So you don’t exactly have a lot of polo matches on your social calendar. No worries. Pimm’s is very low in alcohol content—which is why the Brits like to guzzle it at those daytime sporting events. Pimm’s is only 25 percent alcohol by volume (50 proof)—compare that to vodka, which is 40 percent (80 proof). This means you can knock a few of these back without getting knocked to the ground. Serve Pimm’s Cup at a garden party or daytime events like baby and bridal showers, or luncheons when you might want to get a little bit buzzed, but still want to carry on the rest of your day. So, Mr. Pimm, if there’s a Pimm™’s No. 1, does that mean there are other variations of the spirit? Yep. Throughout the years, there have been six varieties of Pimm’s—the difference is the base spirit. While Pimm’s No. 1 is built with gin, there are others made with vodka, rum and brandy. Most of those have been phased out, but Pimm’s No. 3 (brandy) and No. 6 (vodka) are currently still available in limited quantities. If you want to make a cocktail snob really excited, hunt down one of these bottles. If you're looking for other fancy gin cocktails to rock the party, here are some more faves!